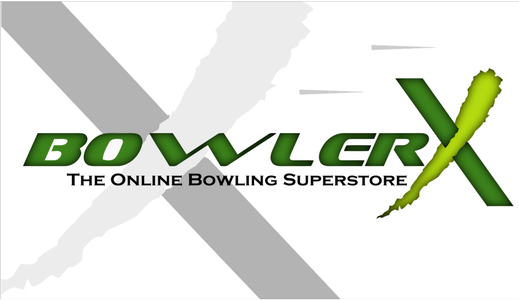 BowlerX.com offers professional drilling service on all bowling balls. We use the most accurate milling machines available today, the Precision Ovalmatic. This is the same milling machine that has been used on the PBA Tour since 1976. The OvalMatic is accurate to 1/1000 of an inch on all measurements including spans, pitches and depths. At BowlerX we take our craft seriously. The absolute best results will be achieved if and ONLY if your Pro Shop operator has observed the bowlers style and acquired his/her bowling specs. These specs include Positive Axis Point (PAP), revolution (rev) rate, axis tilt, axis rotation and ball speed. It is also very important for the Shop technician to know what type of lane surface the bowler is bowling on and the volume and distance of conditioner (oil) applied to the lane. If we do not have this information we will gather it first before making a professional suggestion as to what bowling ball and drilling layout will maximize your scoring potential. A short session on the lanes may be required to obtain these specs. One of our trained staff members will gather these specs and share them with you to discuss your equipment needs. We also offer the latest in accessories for your bowling ball grip including a complete line of Turbo products. Turbo Grips has been a leader in finger and thumb insert technology since 1990. The Turbo Switch Grip is one of our fastest growing products we offer and our customers quickly realize the value and convenience of the removable thumb system. The bowling ball grip and choice of bowling ball are two of the most important aspects of scoring potential. At BowlerX we understand this fact. Our staff is trained to bring these two aspects together to maximize your scores and enjoyment of the game. The fit of the bowling ball is extremely important because the game of bowling is based on repetition. Being able to repeat the release on a consistent basis first depends on a precision fit. If the grip is not optimal it will be impossible to repeat crucial elements such as ball speed, loft distance, launch angle and revolution rate. We have the most accurate measuring tools available for measuring the bowlers hand span, finger/thumb pitches and flexibility. Once these measurements are acquired we then drill the bowling ball using the Precision Ovalmatic mill. The final step to achieving the proper fit is the customization of the finger and thumb holes. Proper beveling and shaping of the thumb hole is crucial to the final fit of the bowling ball. We will analyze this area and work with you making small adjustments until the feel is just right and will allow for proper release frame after frame. We repair nicks and gouges. Varies depending on extent of damage. We can fix most ball damage. Let us inspect your ball before giving up on it.